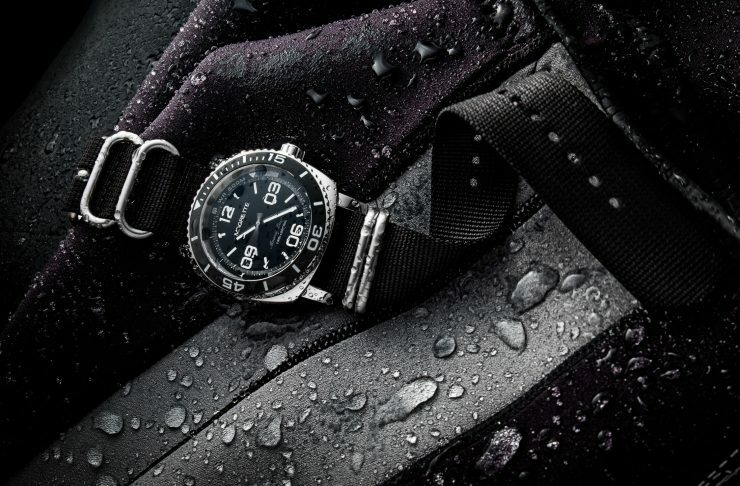 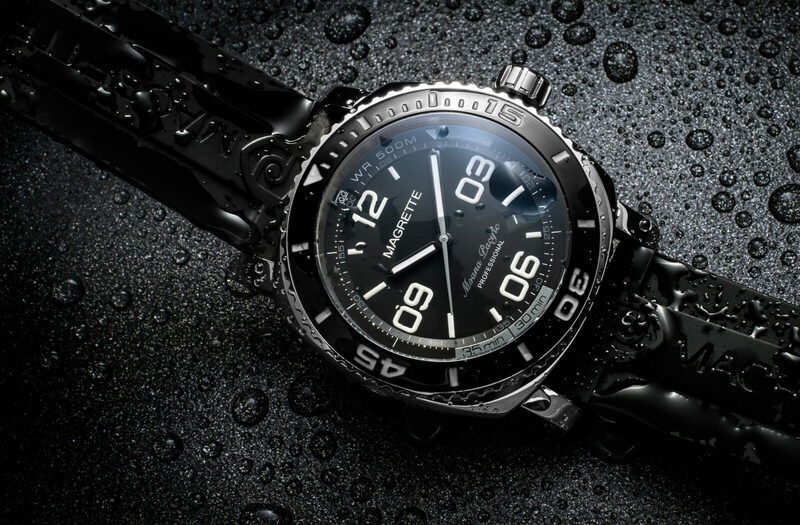 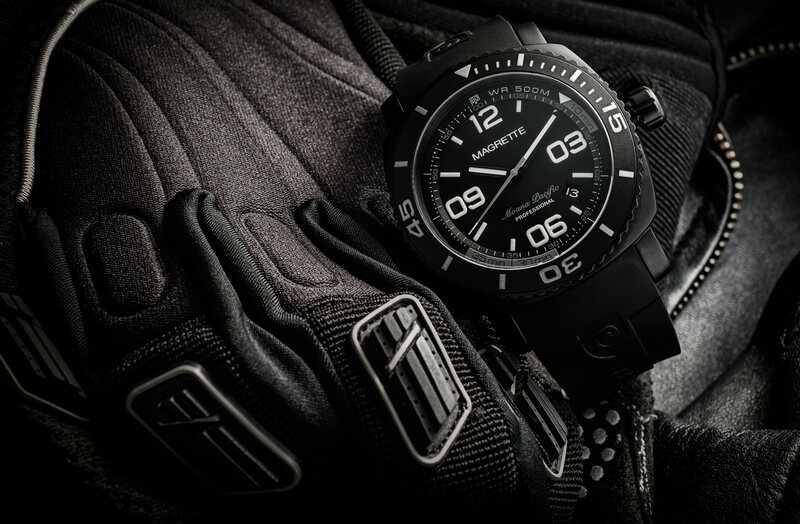 The Magrette Moana Pacific Professional Kara dive watch is a New Zealand-built timepiece with a Swiss caliber STP1-11 automatic movement and a brushed grade 5 titanium case, it’s water resistant down to an impressive 1,650 feet and it’s strictly limited to 1010 units. 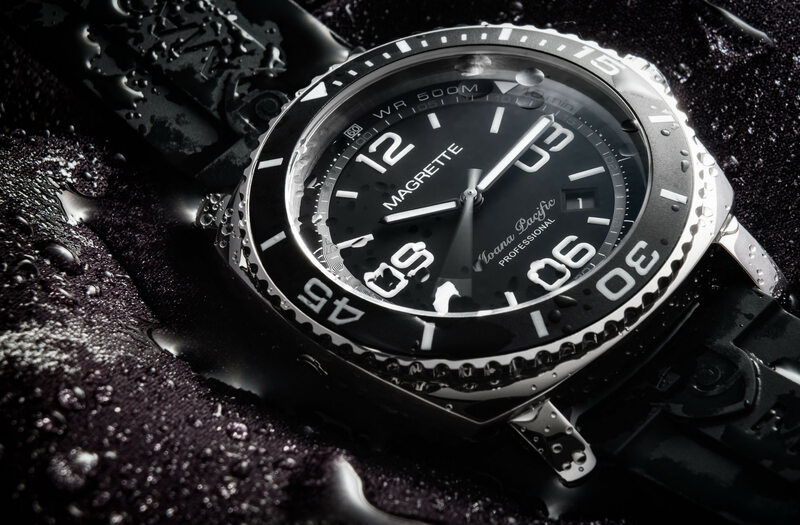 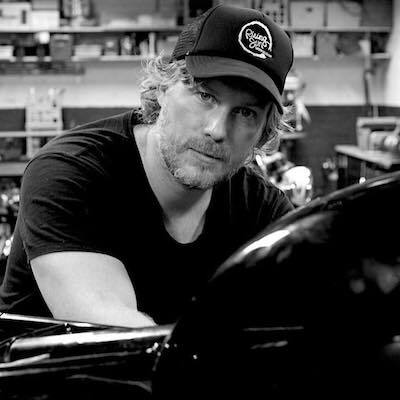 Magrette was founded by Dion McAsey, a New Zealand-born designer and lifelong fan of horology, particularly watches from the WWII-era, and dive watches from the 1970s. 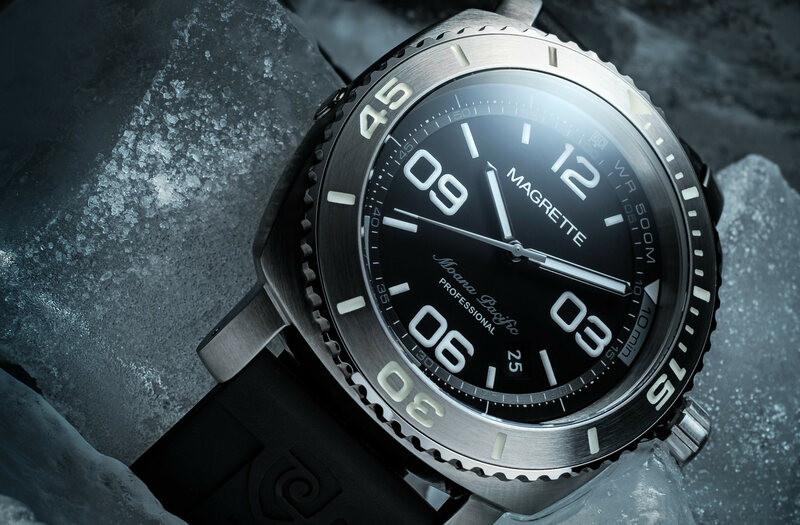 Dion started to Magrette to build the kind of watches he wanted to wear himself, they feature a classically-designed look, mechanical movements, and strong influences from the golden age of dive watches with large, easy to read faces. 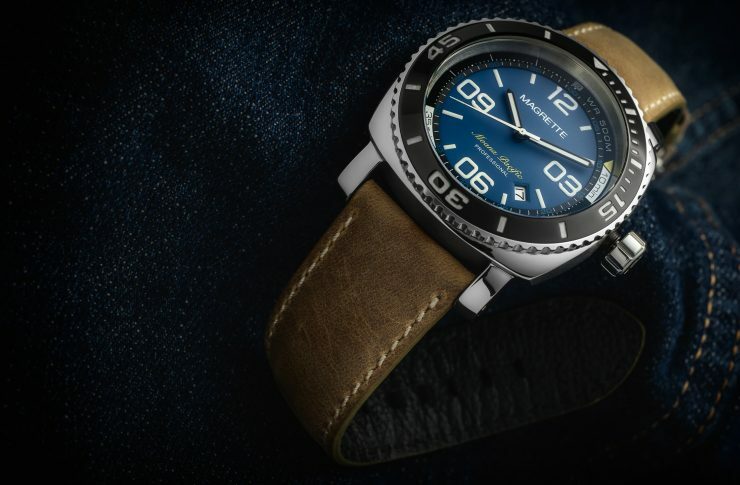 The Moana Pacific Professional Kara dive watch is powered by the above mentioned STP1-11 automatic movement from Switzerland with hacking seconds, 28800 bph, manual winding, Incabloc shock absorption, and a Nivaflex NM mainspring. The titanium case measures in at 44mm excluding the crown (53mm lug-to-lug), and it has an engraved ceramic bezel insert. 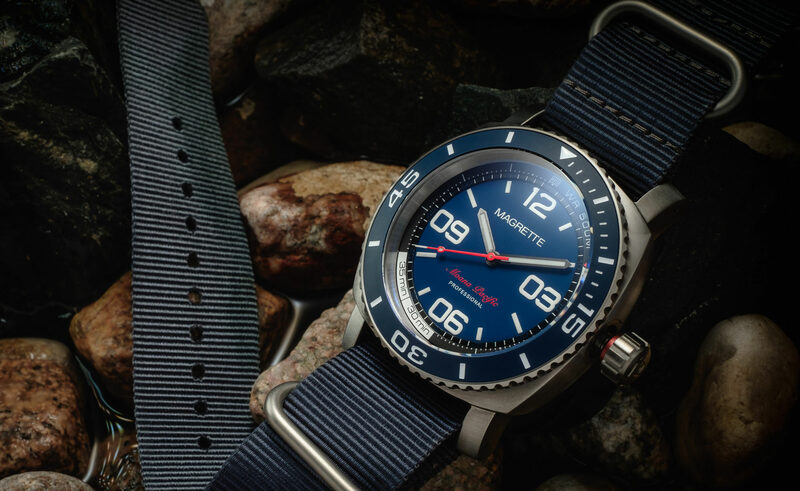 The Swiss movement is visible through the sapphire caseback, and the watch has a screw down crown with red safety alert collar. Blue Super Luminova BGW9 is used on the dial, hands, and bezel for nighttime visibility, and each watch comes in a signature travel case.